JUNE 2018– GEM Geophysics are pleased to advise of a MLEM survey for Cassini Resources on the Yappsu Prospect that is located 6km east of Nebo. In which the latest “SQUID” technology supported the targeting of the prospect for massive sulphides. Moving Loop Electromagnetic (MLEM) and Fixed Loop Electromagnetic (FLEM) surveys were completed to assist with drill targeting at the One Tree Hill and Yappsu Prospects. 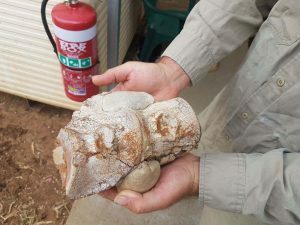 JULY 2018– GEM Geophysics have worked extensively on various MLEM projects for Independence Group (ASX:IGO) at the Fraser Range prospect. IGO has consolidated the largest ground position of any listed company on the prospective Fraser Range, where IGO currently holds over 14,000km2 of tenure outside the Tropicana joint venture areas on and proximal to the Fraser Range. 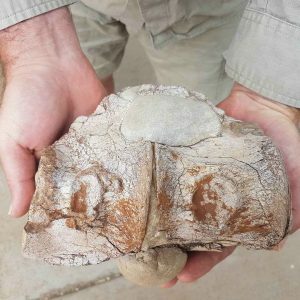 OCTOBER 2018- GEM crew members believe they might have discovered dinosaur remains at Sybellah tenement in the Cloncurry region while surveying for Minotaur Exploration. NOVEMBER 2018- GEM Geophysics are undertaking an EM survey for MOHO Resources on the Silver Swan North Project. The EM survey for the northern extension will use fluxgate and coil sensors. The infill surveys will use a high temperature JESSY SQUID. DECEMBER 2018- GEM Geophysics are pleased to advise that Cassini Resources (ASX: CZI) & Oz Minerals (ASX: OZL) have had some pleasing results in the West Musgraves on their joint venture at the One Tree Hill Prospect. GEM Geophysics conducted Moving loop EM survey using the High temperature JESSY DEEP SQUID and Down hole surveys on this project.